Huge savings on Fantastic Wines! Join a Wine Club today and you'll receive amazing benefits as well as incredible wines. We've got so many Wine Clubs to choose from. Browse the selection below from our trusted merchants and see which wine club suits you! A Wine Club is a simple way to get some fabulous wines, picked out by experts and sent directly to your door! They can make a fantastic gift or simply help you discover the world of wine with ease. Usually, you need to sign up and pay a monthly fee to receive a certain amount of bottles per year. If you know what you like, some merchants offer wine clubs where you can select the wines yourself, but even if you choose a pre selected wine club, they will generally let you know which wines will be sent to you so you can decide to accept or decline a delivery. Good wine clubs will also have a service where if you don't like the wine they have sent, you can send them back for a full refund. Be aware that a wine club is an engagement you take towards a merchant and that you will be paying for it every month. Our reviews below give you an overview of our best monthly wine club offers, but we are really keen to learn more about your experiences with wine clubs and what you think the best deals are. Please Contact us and let us know. Six of the best bottles, hand-selected just for you. Try them now at an exclusive one-off price of just £30! With a saving of almost 50% on this stunning case, you won't find a better deal anywhere else. This fantastic offer means you can pick up many of your favourites, such as Villa Maria, Porta 6 and Las Maletas Malbec, for just £5 a bottle! Don't delay! Purchase your case today, and you can thank us tomorrow! Join 100,000 Naked Wines Angels and support independent winemakers directly by investing £20 a month. Spend the money whenever and however you want and get exclusive discounts and freebies. Cancel conditions: you can leave the Angels whenever you want. Any money left in your account will be given back to you. Get an extra £100 to spend at Naked Wines now. Spend £49.99 today and get £149.99 worth of wine! See full terms & conditions on Naked Wines website. Receive 12 bottles of great boutique wines from family run wineries every three months with 10% off. Cancel/skip conditions: You can swap a whole case to something different or individual wines for something else; you can change the delivery date or miss a case when you don't want it; you can cancel your plan whenever you want to. Save £50 off your introductory case with 12 bottles, free delivery, free glasses - now just £52.68! See full terms & conditions on Laithwaites Wines website. Join the 40,000 members of Virgin Wines' Discovery Club and receive a regular supply of great boutique wines from all over the world. Cancel/skip conditions: Virgin Wines will email you the content before sending it so you can skip a case, postpone it or swap a bottle you don't like. You can cancel your membership at any time. See full terms & conditions on Virgin Wines website. Choose Club Classic or Club Reserva and get hand-selected, exclusive wines delivered to your door. Delivery: All cases sent through the Wine Club are delivered free of charge. Bottles received: Each case is delivered in each of the following quarter months: February, May, August and November. You'll receive your first case within 3-5 working days. A new case will be sent to you every 3 months according to your plan’s delivery schedule. Type of wine: Selected by Marks & Spencer, according to your preference of 'All Whites', 'All Reds' or 'Mixed'. Exclusives: All wines exclusive to M&S. Discover varieties sourced and blended by our own winemakers. Benefits: Wine Club cases have a minimum 25% discount off the recommended price. All cases contain detailed tasting notes and exclusive discount vouchers. Cancel/skip conditions: You can cancel your wine club subscription at any time. 100% Satisfaction Guarantee: If you do not like a wine for any reason, you can report this to M&S and you will be offered a replacement. See full Terms & Conditions on Marks & Spencer website. 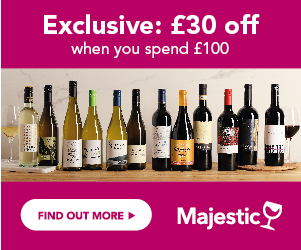 T&Cs: Save £10 on your first case of Wine bought at M&S Wine Club Code "WINE10AF" deducts £10 off the first case when user signs up to the M&S Wine Club via Winesdirect website. £10 off first case is available on both Club Classic and Club Reserva subscriptions. Valid at marksandspencer.com. Exclusions: all other wine shop products. Discount applied at checkout. The voucher is only available to be used once per account and will only give discount on first case when customer signs up to the Wine Club and cannot be used on any subsequent cases. Voucher cannot be used in conjunction with any other discount voucher or code. Cases ordered online are not currently available for collection in store. Offer is strictly non-transferable and cannot be sold or exchanged for cash. Any refunds will take into account this discount. The Sunday Times Wine Club is part of Laithwaite's Wine and features a large range of quality wines as well as pre-mixed cases. You can join the club to receive a 12-bottle case of selected wine every three months or you can just order some wine online without committing to the club. See full terms & conditions on The Sunday Times Wine Club Website. WineBank is not exactly a wine club but a way to reward the most loyal customers at Virgin Wines by giving them an extra 20% to spend on wine. Delivery: FREE next day delivery forever!